Did you know that 24hPoker has bingo, casino and sportsbetting all in one brand? 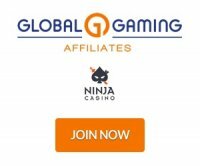 iGamefriends affiliate program are now promoting their casino and sportsbook products harder and they want you to do the same. How long has the 24hpoker sportsbook been online? Which software does it use? What percentages of players that go to the poker site cross over to sportsbetting and vice versa? This is something that we are focusing on to improve. Most players obviously have turned to us mainly with poker playing as the main object but when the players discovers our nice odds combined with our fun and interesting private promos the cross-selling between the different products improves. What are some of the current promotions running for the sportsbook? We have just finished three very appreciated private promotions where we have sent one player to Madrid to experience a live Real Madrid game and two players to the US to see a couple of NHL ice hockey games. The winners of the NHL promo will also attend the legendary Swedish hockey player Peter Forsberg’s retirement ceremony, taking place in Colorado and that will definitely be a memory for life for these lucky winners. These private sportsbook promotions are something that we will continue to do and we are right now planning on the next exciting promotion, so keep your eyes and ears open! Are players betting the most on football (soccer)? Football is the most popular sport to bet on among the European players but we do offer nice odds on the most different games out there. Worth also to mention is that ice hockey is a very popular sport to bet on in the northern European countries. iGamefriends Review - join the affiliate program and get a $50 bonus when you earn your first $1000 in commissions.